Speak Your Truth . . . Stand tall and speak your “Truth”. Understand however, that your “Truth” is not a single thing. 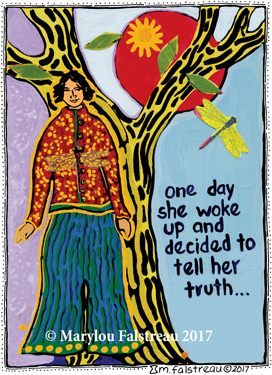 Your “Truth” is anything you share or express that is open, honest and vulnerable. And most importantly, that shines a light upon your true values. Caution however, don’t hide behind your values, or it simply becomes judging. Moments Of Kindness . . . Wisdom Comes In Many Forms . . . Thank you. This was the perfect message on a perfect day.